I think we can all agree that we’ve at least THOUGHT about coloring our hair unnatural shades before. 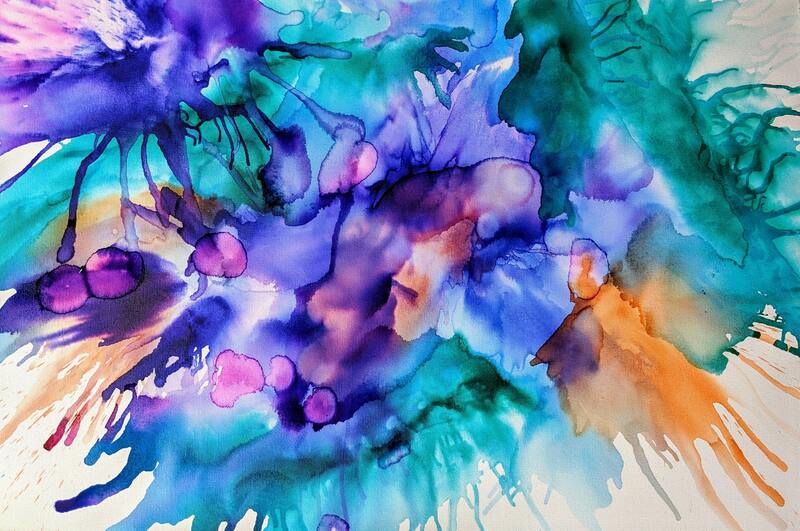 You know, vibrant blues, purples, reds; the colors we wish we could pull off in our daily lives! Sometimes our corporate lives keep us from wearing fun hairstyles and colors… But if they don’t, why not give it a shot! We’re going to give you all of the pros and cons of trying fantasy hair color, and show you some colors we love. The fantasy color possibilities are practically endless, and it can be addicting! From pastel pinks and purples to fire engine red and bright orange; all these colors can be yours! However, fantasy color can be more expensive than natural shades, and it can cause damage to your hair. Is it worth it? Let’s find out. What’s Up with Fantasy Color? What’s the difference between fantasy color and normal hair color? Fantasy hair color can be a totally different animal than just touching up some grays or dying your hair a dark color. Applying vibrant color requires a different approach than other processes, and it requires a good eye on your stylist’s part! It can take a lot more time than permanent color, which means it can also be more expensive. Vibrant, neon, and pastel colors need to be applied to pre-lightened hair in order to give the best result. (This is where girls that try to give themselves unicorn hair at home tend to make mistakes and ruin their hair.) 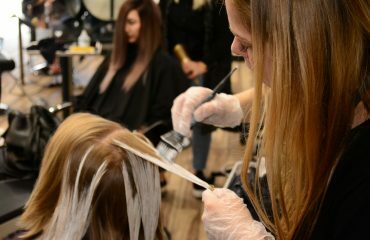 There are products that can make the lightening (bleaching) process safer, but they are only available to licensed professionals. 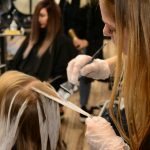 Lightening your hair can only be done safely by a professional with proper training that continues to attend classes and learn new techniques, so please don’t risk frying your hair at home! To keep your hair healthy, it’s important that your stylist doesn’t apply bleach to areas of your hair that are already lightened. Lightening your hair takes care and time. Typically, stylists will also apply different shades of the same color to add dimension, which also takes time. 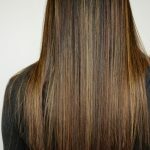 Vibrant colors are usually semi-permanent, which means the pigment sits on top of the hair, unlike permanent color. Because vibrant colors are not meant to last forever, it is essential that you use the right products at home! You’ll be watching your color go down the drain it you don’t!!! Also, it is important to get your color done right the first time by a professional to save yourself from damage. Cold showers are your friend! A good way to save money on your color is to make it last longer! A great way to stretch your color’s life is to rinse your hair with cold water in the shower. I know it’s hard, but it’ll be worth it! Hot water opens up the cuticles of your hair and allows for the color to escape more easily, which in turn causes rapid fading. Another good way to save your color and keep those locks gorgeous is to shampoo your hair less often! Most stylists recommend shampooing your hair twice to three times a week, but if you can make it once a week, your fantasy color will thank you. A good tip is to scrub your scalp with conditioner to get rid of some of the grease, as conditioner strips color less, and cool water will help keep the cuticle closed! When you DO shampoo, using a color-safe, sulfate-free shampoo is the best option. Sulfates are harmful chemicals that are harsh on your hair that will strip color quickly. Sulfates can also leave your hair feeling dry and looking dull. Nobody wants that! My favorite color-safe shampoos are Minu from Davines, and Color Care shampoo from Coppola Keratin Complex! I would also recommend using a deep conditioner like the Minu Hair Mask once a week to repair damage your hair might have suffered from bleaching. Not all colors fade the same. If you’ve worn bright hair colors before, I’m sure you’re aware that not all colors fade at the same rate or in the same way. 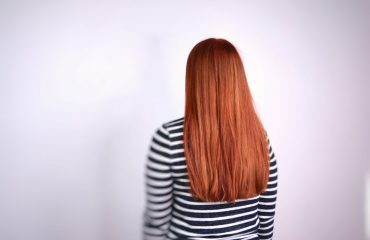 Colors like magenta or deep pink, for example, usually have a red base that stains the hair more than blues or purples, which causes the color to last a bit longer. Generally speaking, deeper colors will last a bit longer than pastels or silver tones. For example, according to Pulp Riot‘s website, the deeper tones from their line can last up to 42 washes, whereas the lighter tones can only last up to 25 washes! Ultimately, how long your color will last depends on your hair’s health, the quality of application, and how you take care of it at home. Certain colors may fade to shades you didn’t expect to see on your hair. Blues will fade to green, purples will fade to silvery tones, and your red might fade to pink or orange. This part of wearing fantasy color is unpreventable, unfortunately. Part of wearing any kind of hair color means accepting that it may fade or need a touch-up, so don’t forget to make an appointment to refresh it! Have you noticed some natural highlights appearing in your hair during the summer months? That’s because exposure to the sun can naturally lighten your hair! For those of us that wouldn’t normally have highlights done in the salon, it’s fantastic. However, fantasy color peeps, you need to protect your color from those rays! Lose the white pillowcases, sheets, and towels. After talking about fading and color washing out, I figure this one is a given; kiss those white linens goodbye! Nothing is more horrifying than drying your hair after a shower and realizing your beautiful white towel is now covered in purple hair color that doesn’t want to come out. Because your fantasy color will be semi-permanent, it can rub off on your sheets and your pillowcases, and namely, your towels. I highly recommend investing in dark-colored towels before dying your hair vibrant colors. I also recommend not going to bed with wet hair, unless you’d like your pillowcases to match your hair! Not all color lines are the same quality! Now, I know what you’ve probably been thinking to yourself; “Why can’t I go down to the beauty store, buy some color, and do it myself?” Well, what you will find at the beauty supply store, at the grocery store, or in a retail store like Hot Topic is NOT the same quality as the color used in professional salons. 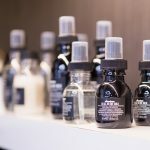 High quality salon color brands use better quality ingredients and dyes that are naturally derived and don’t stain your hair like cheaper brands will. Cheaper color brands (anything you buy in a box), often use metallic dyes that are harsh on hair and very difficult to remove. Why would removing the color matter? Well my friend, if you walk into a salon with green hair and you’d like to be red, a stylist needs to think of the color wheel and figure out which pigments to use based on what they see to get you to your desired color. Sometimes the stylist may need to bleach out the previous color or use a clarifying shampoo to remove it in order to give you the next color you’re looking for. 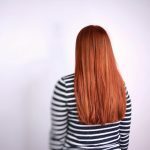 Most people who attempt to do their own fantasy color do not have the tools or knowledge that licensed stylists have, and often end up making an appointment for a color correction at a salon shortly after messing up their color. (A color correction can cost $300 or more, by the way!) If the color is easier to remove, that can prevent you from seeing nasty tones in your new color, and it will allow it to lift (lighten) much easier. Why Should I try Fantasy Color? Deciding whether or not you should try out fantasy hair color can be hard! Ultimately, it’s about what makes you feel like your best self. there’s also no shame in just trying something new and exciting! If having pastel pink hair makes you feel fantastic, do it! Your hair is an important expression of yourself, and also an important part of how others see you. You do you! We hope you guys found these facts about fantasy hair color helpful, and we want to see pictures of your crazy vibrant hair!!! #Jointhebeautyrevolution!! !